My husband has passed on his love of comic books and superheroes to Cakes. It doesn’t matter if it’s DC or Marvel, they’re devoted fans of both universes. So this year instead of doing a hodgepodge of pumpkin carvings, we’re doing a superhero theme. 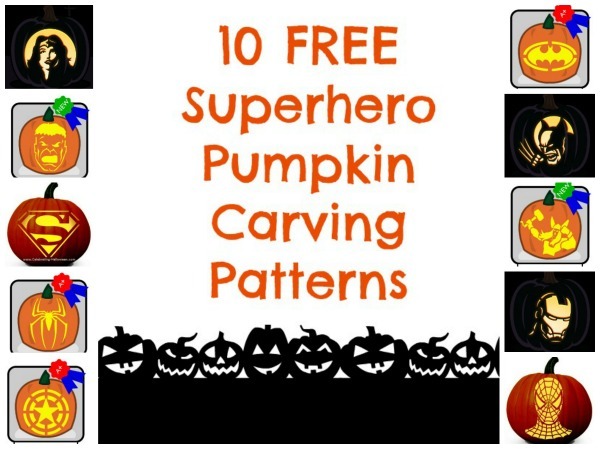 But we won’t be using store bought patterns, because I found 10 free superhero pumpkin carving patterns online that can be printed! And because it’s still so warm here in Austin, we’re a fan of all of these superhero pumpkins, and jack o lanterns don’t last long in the heat, we may end up getting to almost all of these! What superhero pumpkin carvings are you most excited to try? Are you going to do a Justice League pumpkin or go for an Avengers theme for your carvings? Looking for the best tools for these superhero pumpkin carving patterns? Well, look no further. Everyone usually ends up buying this cheap pumpkin carving kit because it’s everywhere…and it’s cheap. I know we’ve bought this one many a time. The problem is, depending on in intricate your design and/or how much pressure you apply, the tools will fall apart. Two years ago, we decided to invest in an upgraded pumpkin carving kit and have been nothing but satisfied. It’s effective, efficient, and best of all it’s still going strong as we enter our third Halloween! 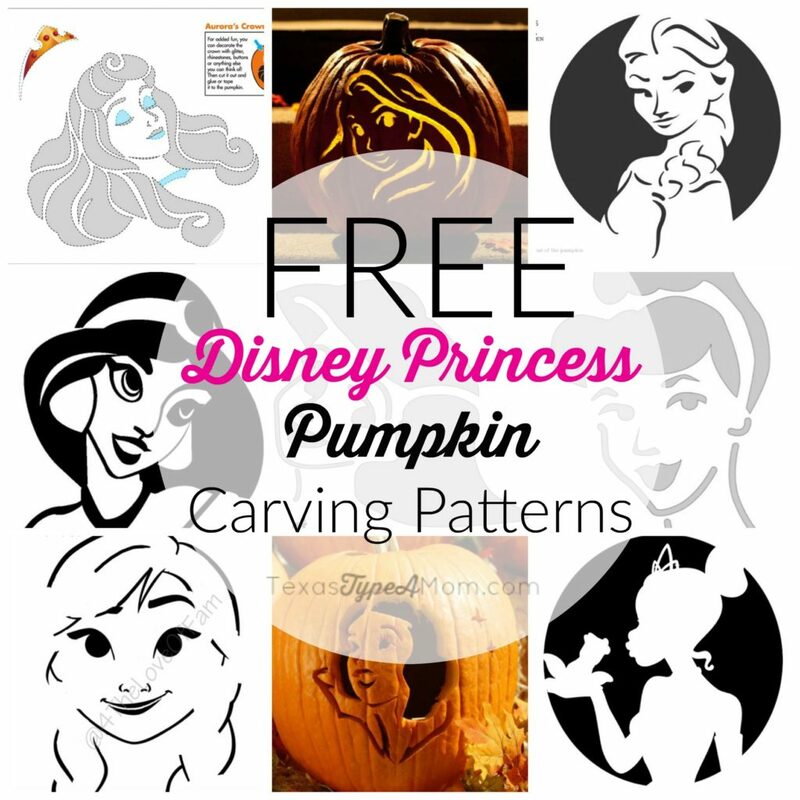 If you’re looking for something a little more feminine for your carvings or have one that’s a girlie girl, check out these 9 Free Princess Pumpkin Carving Patterns. Don’t forget to pin these 10 Free Superhero Pumpkin Stencils so you’ll be able to find them easily next Halloween! Those are all really cool. My sister in law has a pumpkin carving party every year and last year the four of us in our house all carved Star Wars pumpkins – they came out so cute. Ooooh these are cool, thanks! Wow we just need a steady hand and we’d get a perfect pumpkin!! Wolverine, of course, who doesn’t love Hugh Jackman! Next would be Batman and Spiderman, those would be in a very tight race for 2nd and 3rd places! Thank so much for sharing this! My son and husband would adore carving up a superhero pumpkin this year! Too cool, I love the spiderman one! My oldest would love the Spider-Man , he is kinda obsessed at the moment. Thanks for the post! I love the Batman logo one. My kids would love it also and it looks easy enough that I could do it. Thanks! These are super cute! I bet the Spiderman face takes a steady hand! These are very nice! Thanks! Pinning so my husband can do his pumpkin magic since I am pumpkin carving challenged. Some of those look difficult, but I’d be up for a challenge! Fun. If I get around to carving a pumpkin I’m completely doing the Captain America one, thanks for posting these. My favorite is probably Iron Man. I love all the options for pumpkin carving. Ohh these are awesome! Going to bookmark some of these so I can print them out for my nephews. Oh my. You have just made my night. I love comic books and super heroes. FYI my husband is going to love you. I will definetly be trying each and everyone of these this year. Thanks so much!!! Wow these are so cool, my daughter wants to be batgirl so we will defiantly give that one a try. I say every year that I want to carve a pumpkin but never get around to it. My boys would love those patterns. I kinda want to try that Wolverine one! These are great! I think the Wolverine one is my fave. I’m thinking with my new Superhero obsession, these would be great for my pumpkins this year! We are hosting a pumpkin decorating/carving party at the house this weekend. 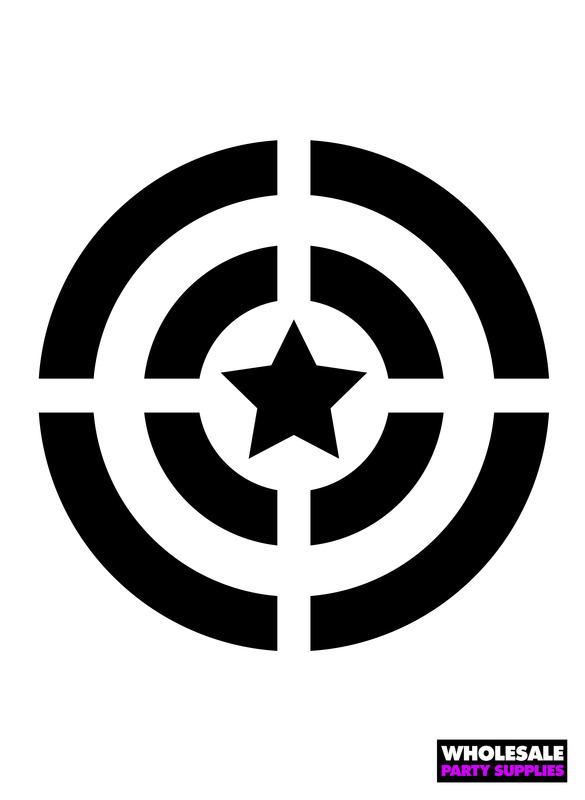 I think I will print out these templates just in case someone needs an idea. My favorite is the Bat Signal. I’m amazed at the creativity I saw over Halloween. Will keep this in mind for next year.